We have seen LEGO to designed Star Wars Stormtroopers Cufflinks and LEGO Consoles but now, LEGO has presented the world with a crazy looking robotic monster. Looking to this actually reminds me of those humanoid robots of Japan but the only difference is that it’s buildable and programmable, even more changeable to suit better programming with all fresh know-how incorporating of color sensor. 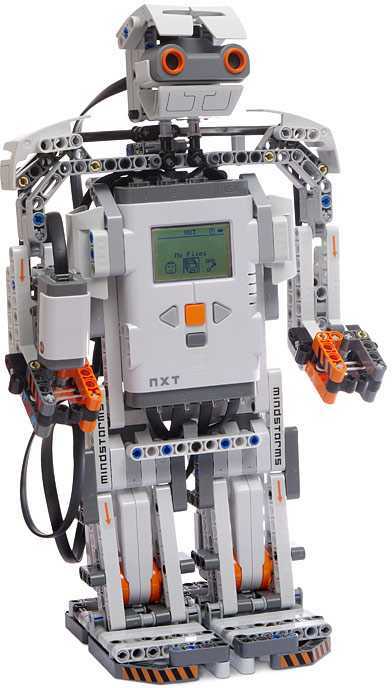 This Mindstroms NXT 2.0 comes together with the unlimited flexibility of the LEGO building systems with smart microcomputer brick and easy to use programming software. By this new 2.0 Toolkit features included with 619 pcs. Of LEGO elements you can create your first programmable modern robot in just 30 minutes, which can compete with those so called advanced bots created with so much time devotion. It has color sensing eyes and ability to upload images with sounds into its memory as per the customized program you installed. If you powered it with any specific color by software programming then it will pick the same one you have directed it from the lots of variation. Even it can speak with specific sample of sound of your choice as you feed in. 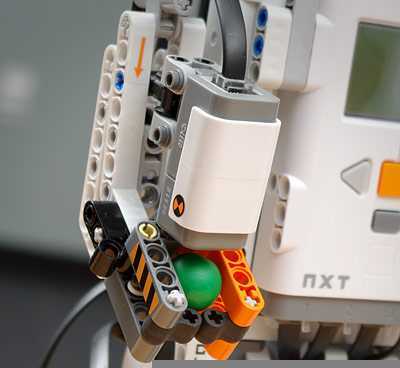 The NXT LEGO brick features 32 bit microprocessor with a large matrix display included with 4 inputs and 3 output ports, Bluetooth and USB attached link, also powered with three interactive servo motors. One thing I must say that it has with very strong four sensors included with Ultrasonic sensor, 2 Touch Sensors and the all-new color sensor which has triple functionality of distinguishing colors and light settings, which functions as a lamp. It has Easy to use software opera-table in Windows XP, Vista & Mac all with icon based drag and drop programming facilities along with 16 fun building programming challenges. Though it’s available with a price tag of $279.99 , I should mention that it should be operated by kids above 10 years of age as there are lots of small parts and even less than 3 years geek kids strictly prohibited near the robot building arena. You can see the step by step demonstration here.